Captora is a Top of Funnel (ToFu) platform, sitting above automation and CRM within the marketing solution chain. Promising features for the targeting, launch and optimization of high-performance campaign portfolios of any scale, Captora supports multiple channels across search, advertising and social media. Marketing teams can identify higher quality ToFu leads by being able to spot, identify and prioritize opportunities earlier with a greater confidence of driving conversions. Use data to prioritize goals and real-time market intelligence when planning investments, while manipulating custom tags, queues, and lists when running reports. Content strategies and campaign road mapping tools help marketers to push enhanced performance from current content, while assisting the discovery of more effective forms. Campaigns can then be built, launched and tweaked according to best practices, leveraging landing page editors complete with templates and forms. Advanced targeting and A/B testing options then promise to boost conversion rates that can then measured with built-in reporting capabilities. Compare conversion metrics against campaign spend to gauge portfolio ROI, viewing visualizations on visits and performance across every channel. Contact Captora to request a personalized demo and full price quote. 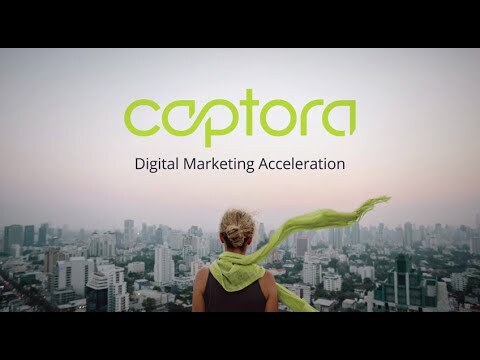 Captora is a Top of Funnel (ToFu) marketing platform that claims to help marketing teams target, launch and optimize campaign portfolios at scale across multiple channels. Utilizing patented web crawler technology, Captora surfaces the strongest relevant keyword opportunities before facilitating the creation and promotion of targeted landing page campaigns tied to those keywords. Plan campaign investments with access to marketing intelligence data, identify strong content opportunities earlier and squeeze greater performance from existing content. Build campaigns and landing pages with intuitive content editing capabilities featuring customizable templates, web forms and best practice guides all within a single streamlined solution. Measure and gauge the Return On Investment (ROI) of a campaign portfolio, viewing real time reports on visits, conversions and more. Below are some frequently asked questions for Captora. Q. What type of pricing plans does Captora offer? Q. Who are the typical users of Captora? Q. What languages does Captora support? Q. Does Captora support mobile devices? Q. Does Captora offer an API? No, Captora does not have an API available. Q. What other apps does Captora integrate with? Q. What level of support does Captora offer?